As I said, I've been on a "cozy English mysteries" streak, and I was so happy to come across the Royal Spyness series through some Amazon browsing! 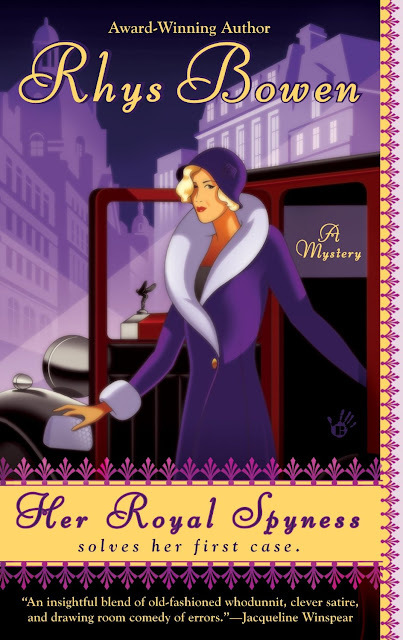 An impoverished, plucky, bumbling yet beautiful royal amateur sleuth as the heroine, a mysterious talk dark and handsome stranger, a flighty sidekick, and series of crazy hijinks. What more could you want? Oh, a historical 1930s setting you say? Or perhaps a variety of English and Continental scenery? Done and done! Plus, it has some great English names (Fotheringay pronounced Funghy? I wish I'd known this when I first started reading P. G. Wodehouse!). In fact, did you know there's an entire Wikipedia entry dedicated to English names with counterintuitive pronunciations? Ha!